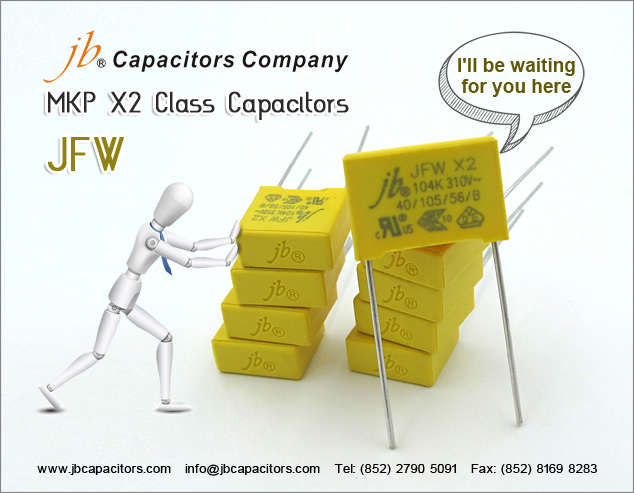 jb Capacitors release new Radial Class X2 310VAc Capacitor JFW, as a upgraded product, JFW Safety 310VAC Capacitor’ s performance is better than JFV and JFZ, and the delivery is also faster than before. 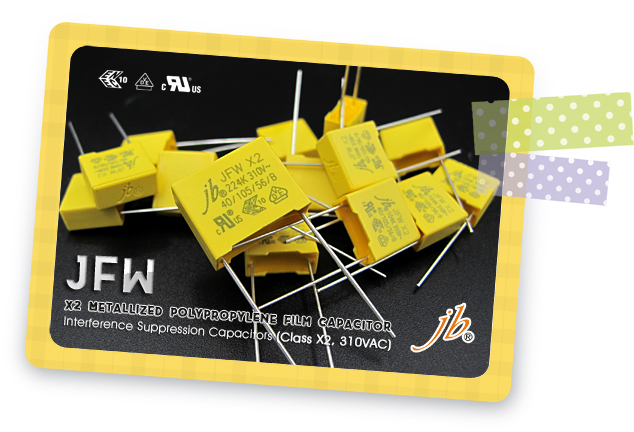 There is no doubt that the quality of JFW interference Suppression Film Capacitors-MKP Radial Potted Type is superfine with VDE,ENEC and UL approvals. 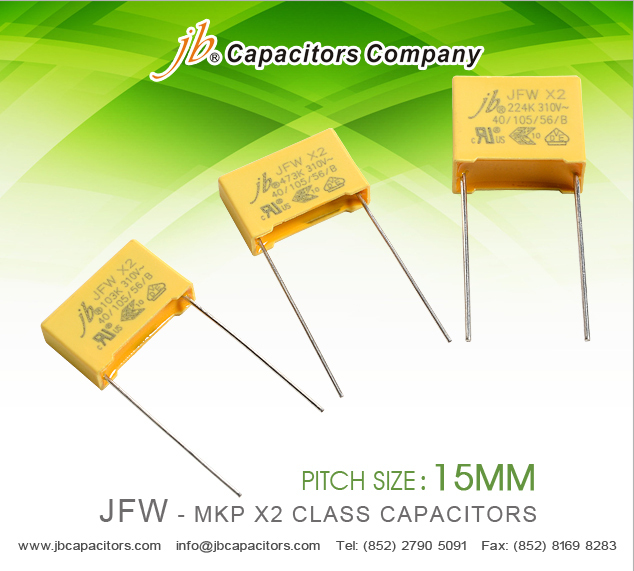 In addition, the price relative to JFV and JFZ is very competitive. Good news! Good news! 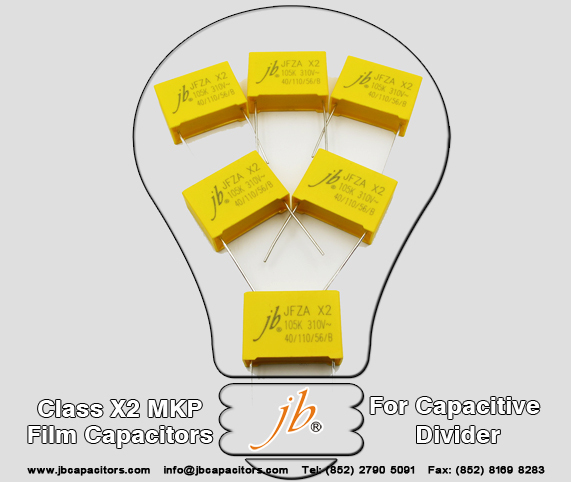 Jb have much more competitive prices offer on Class X2 Safety Metallized Film Capacitors! 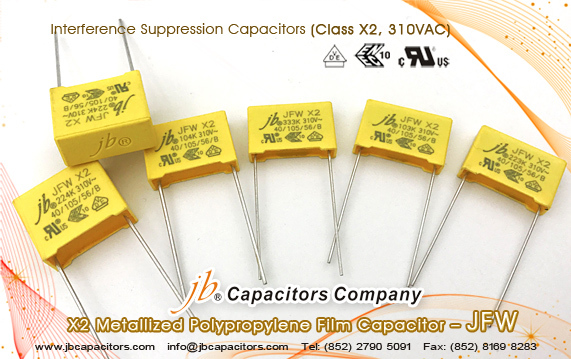 Recently, we just developed a new series of JFW X2 film capacitors, which supply at 310VAC, wide temperature range at 40"C~105"C.
Prices are extremly favorable. What's more, it has VDE, cUL approvals, quality is reliable. Should you have any interest, please contact me for best quotation. Thank you.